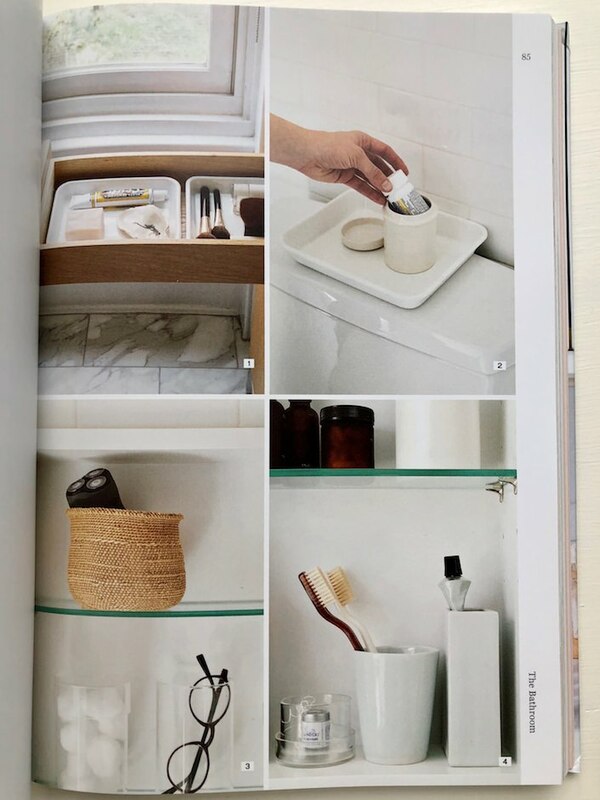 While the book does have a section on how to divest your home of unused or unwanted items, the focus is on simple, stylish and environmentally friendly ways of making spaces more efficient and organized. The kitchen chapter has a plethora of great ideas. What to do with the pot lids is a perennial challenge. I loved the clever concept, on the right above, of using a simple tension rod to corral them in a sliver of space. Also introduced in the kitchen section, is their mantra In Praise of Trays. This is actually a concept I already subscribe to as everything looks and functions better grouped on a tray. Rather than random clutter, assembled items appear more like an intentional still life with no drops and leaks on counters. And even trays within trays offer visual and practical appeal. 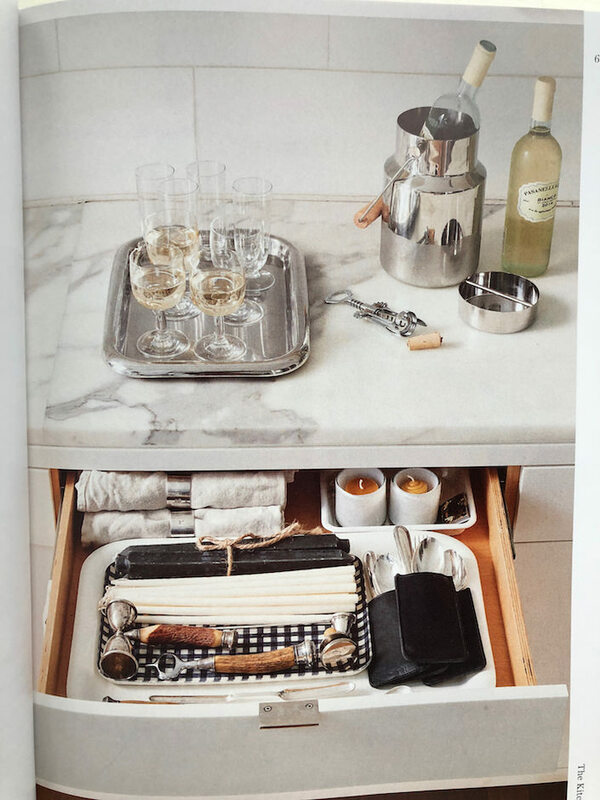 Another clever kitchen storage idea is to keep a designated space or drawer organized for a last minute cocktail party. Whether this includes full on place settings or just drinks accoutrements, it’s a tip to remember. 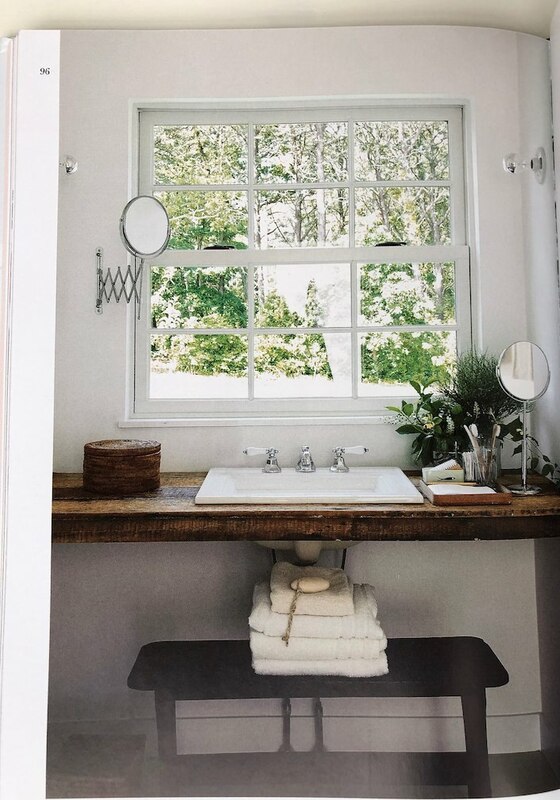 I like anything out on the counter to be visually engaging so I agree with their suggestion of using display-worthy vessels and containers in the bath. While they show primarily white creamic, above, I also use silverplate and horn for everything from make up brushes to q-tips. 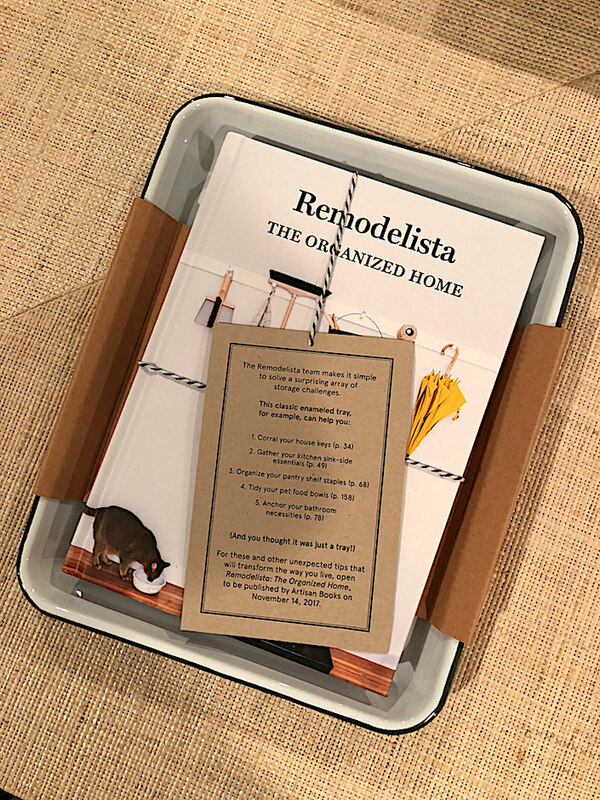 The back of the book is worth the price alone for the Remodelista Storage 75 – a list of 75 products to help you achieve an organized existence – and a fantastic resource chapter with companies and websites. 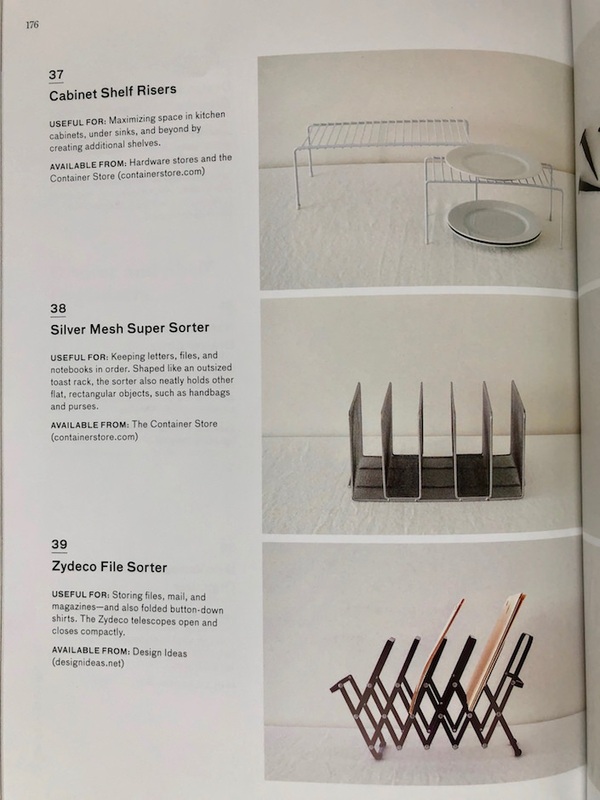 I was happy to see they also love the cabinet shelf risers, above, from The Container Store – I use them in cabinets and closets all over the house. 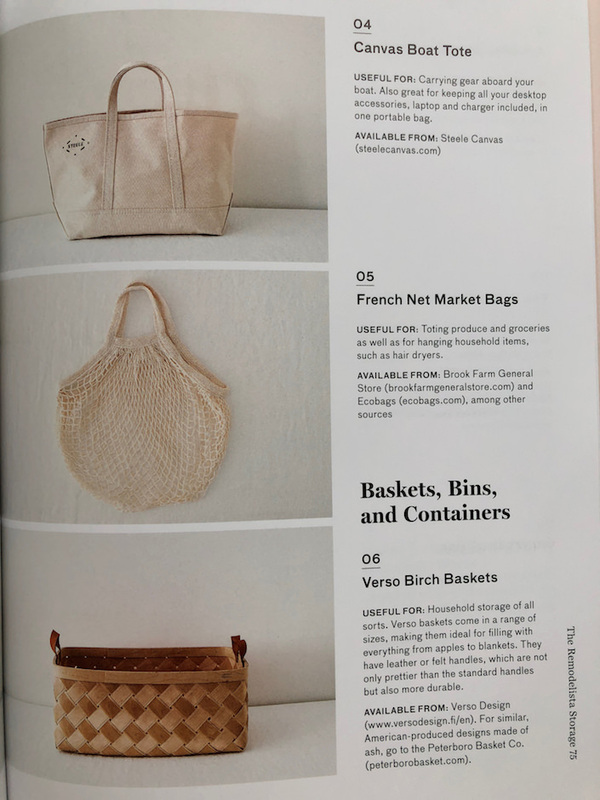 And there are some terrific looking sources I hadn’t known for canvas boat totes and french net market bags, below. Even if you feel you are reasonably organized, this is such a handy little tome with creative ideas and wonderful sources. And for those with kids setting out on their own in new apartments or houses, this would make a great holiday gift (shh – two of mine are getting this). 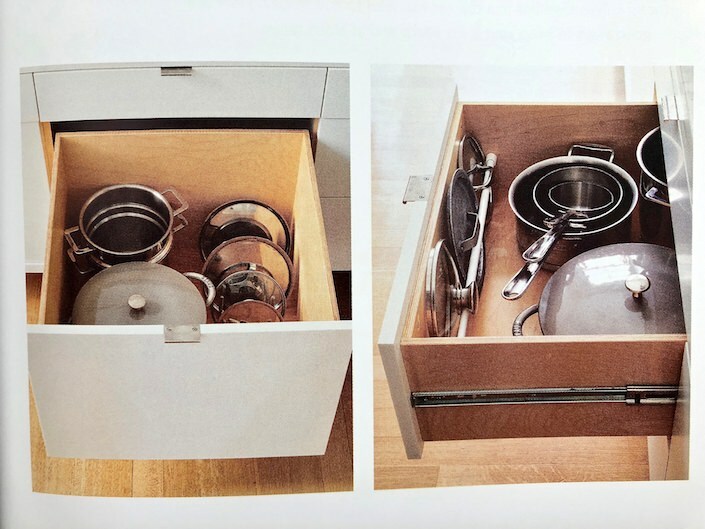 And why not consider pairing it, as the publisher cleverly did with my review copy, with a useful storage item such a classic Falcon enameled tray – useful as both a tray and cooking pan! 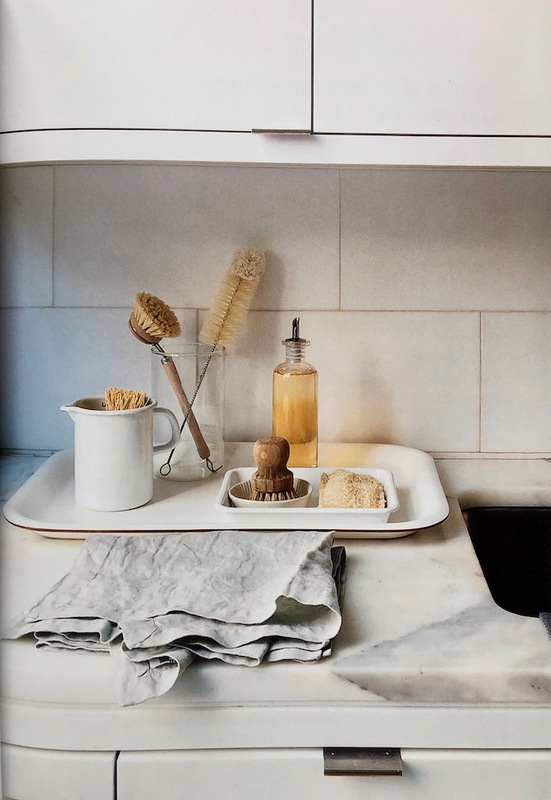 Lastly, be sure to check out Remodelista’s new website devoted to The Organized Home; the perfect way to start the new year – organized in style. This entry posted in books, interior design. 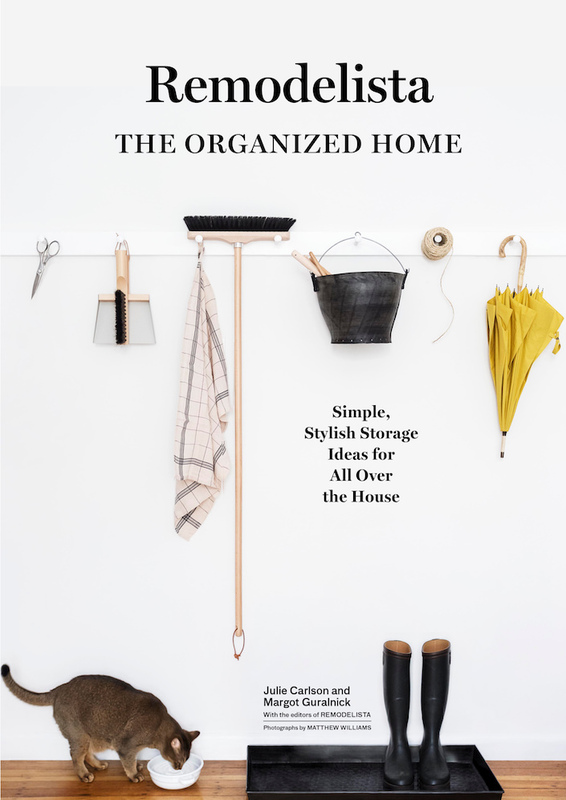 Entry Tags: Books, Design Books, home organization, organization, remodelista Bookmark the permalink. Brilliant, I need the book asap!